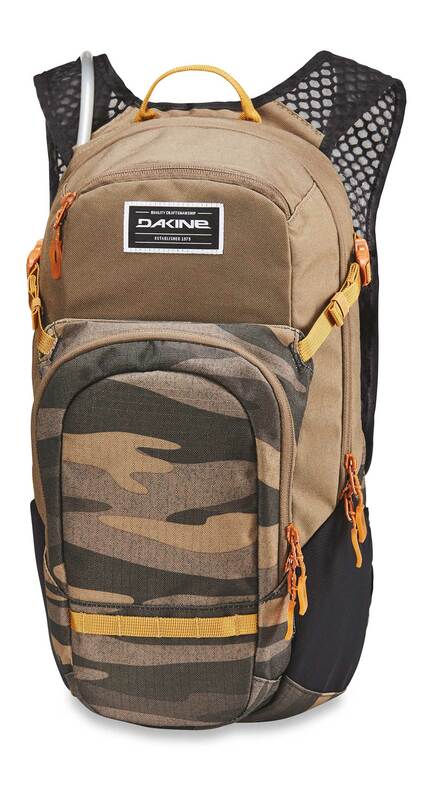 The Dakine Session 16L is a bike hydration backpack combining the cooling comfort of a breathable back panel with airy shoulder straps so you can stay cool when riding. 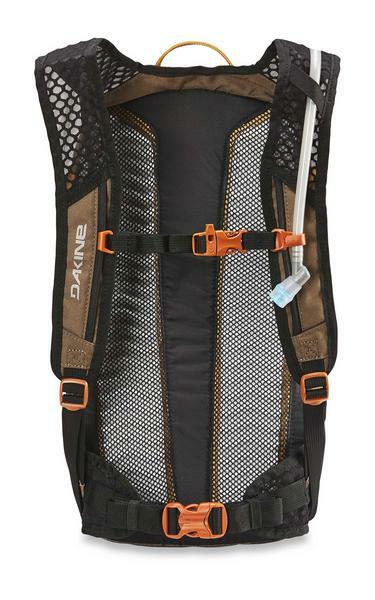 This narrow, lightweight pack features a larger 3-liter vertical hydration reservoir with a bite valve to stay hydrated on the trails. 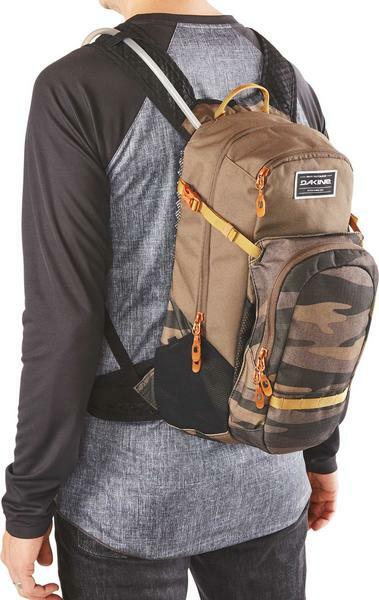 The pack offers plenty of storage including an organizer front pocket, a fleece-lined sunglass pocket, additional side pockets plus an external helmet carry system. The Session is a do-it-all bike pack to keep you out all day on the trails.